In one bowl, sift together flour, baking powder, and salt. 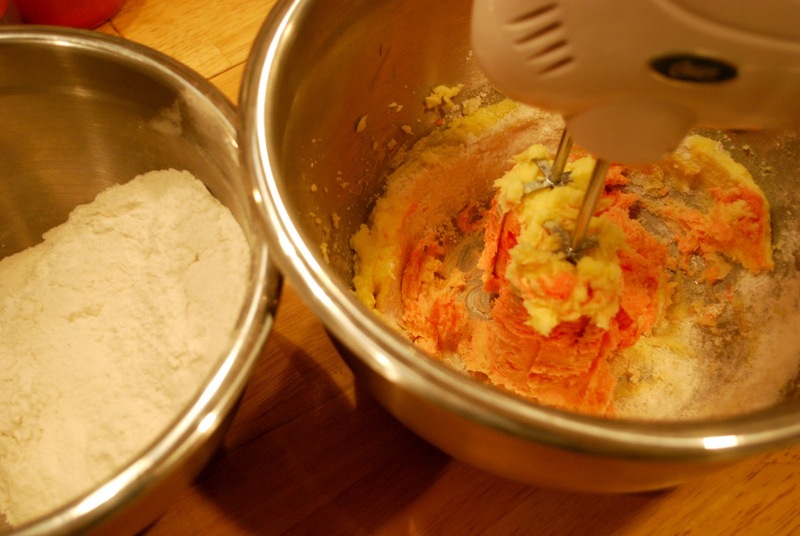 In a large bowl, cream (with mixer) butter. 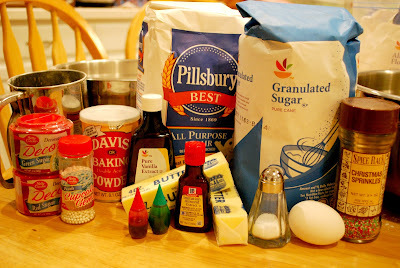 Gradually add sugar and beat until fluffy. Then, add yolk, almond and vanilla extract, and beat until well blended. 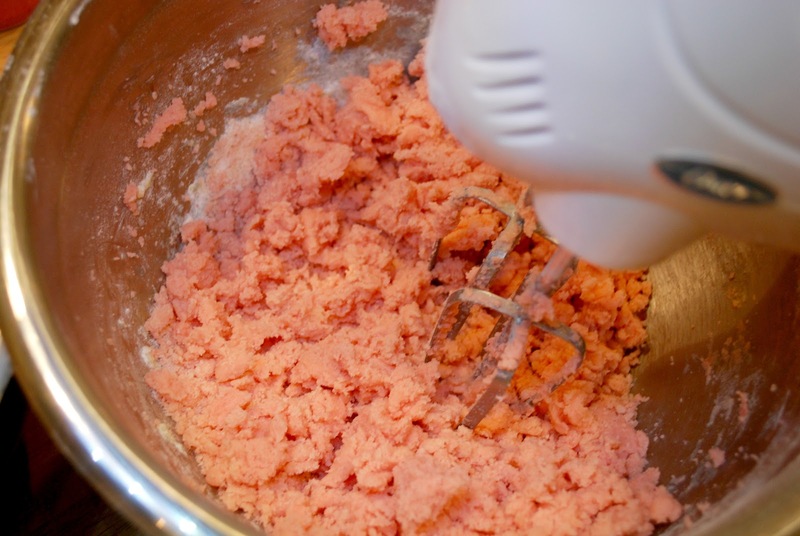 Gradually add flour mixture and continue to mix. Also add in food coloring if you are using it! 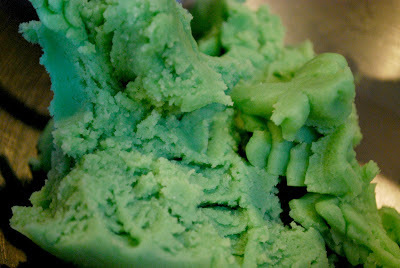 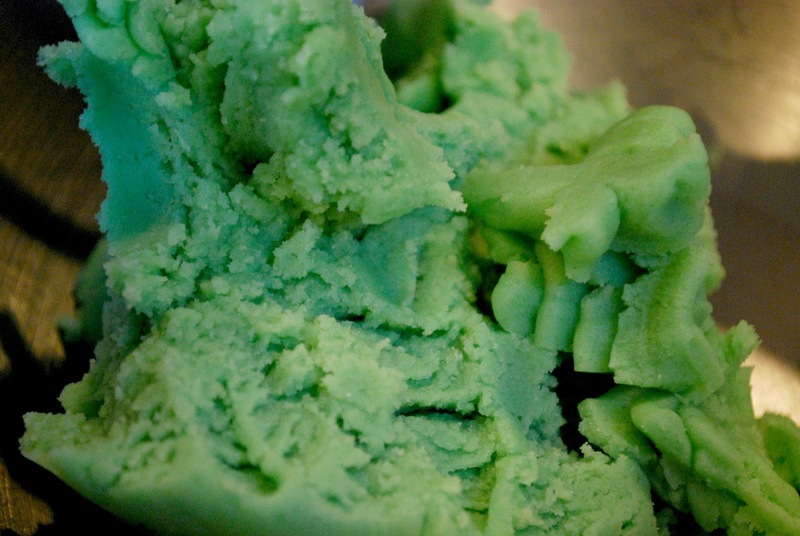 This is my green dough all mixed up! Time to whip out this bad boy. 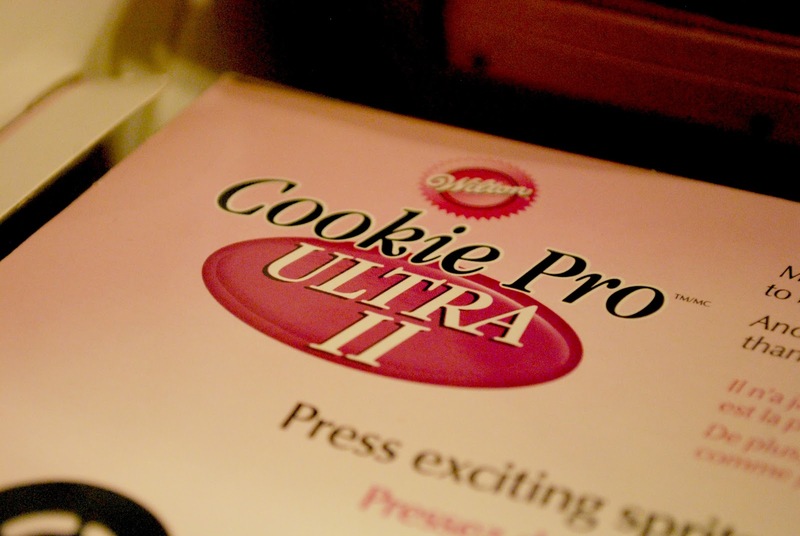 The Cookie Pro Ultra Pro II. 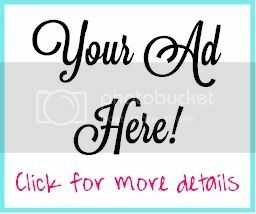 Get it from Amazon! 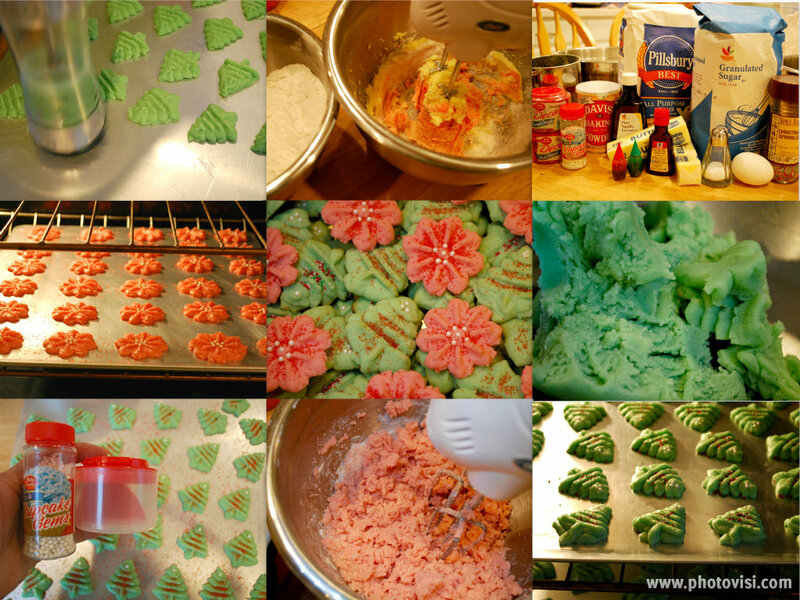 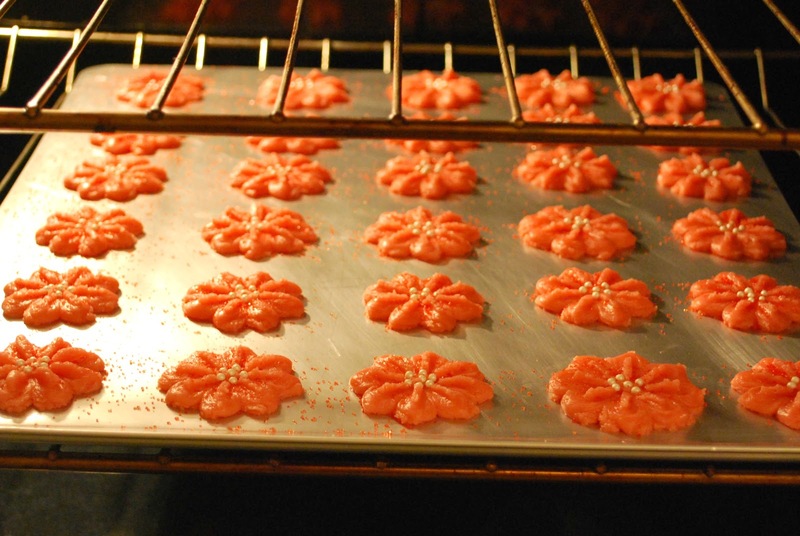 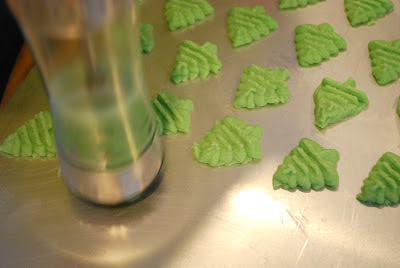 Use cookie press to create the shape of your choice on an ungreased baking sheet. 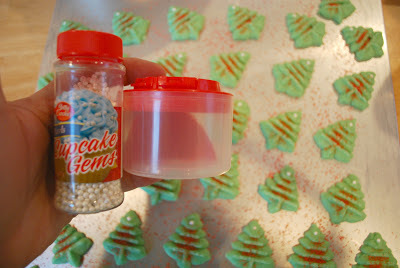 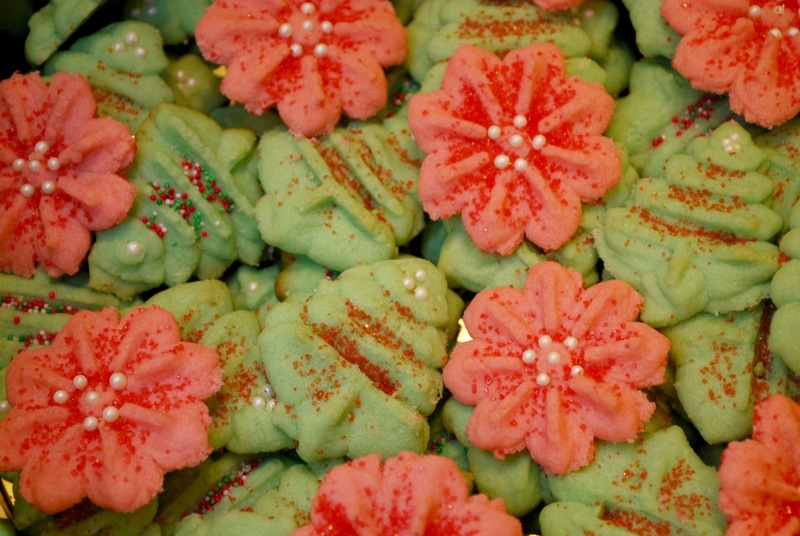 Add sprinkles and other decorations of your choice! 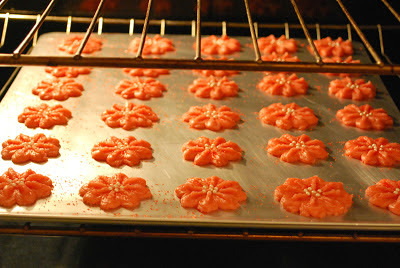 Bake at 350 for about 8-10 minutes. 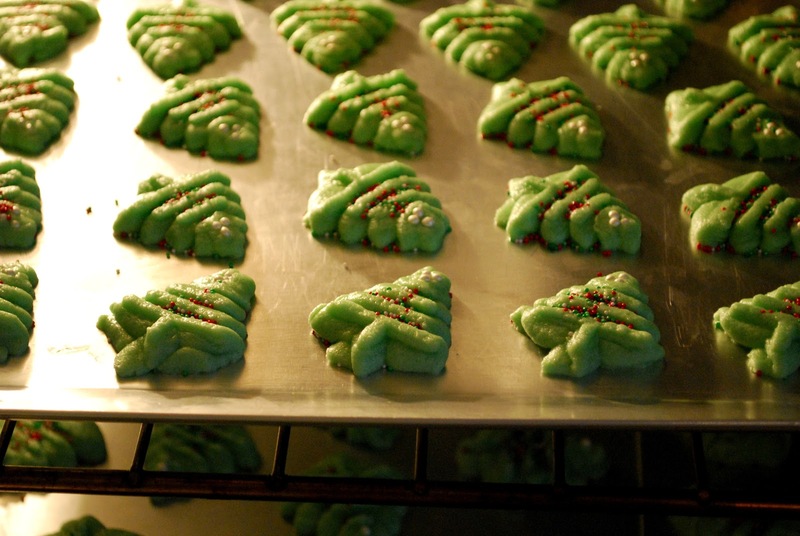 Keep a close eye on them in the oven because they can burn quickly! Here are my red cookies!